Together with photos from his collection. The I.F.C. was formed in 1852, its first vessels being acquired from the Government, but these were quickly added to. 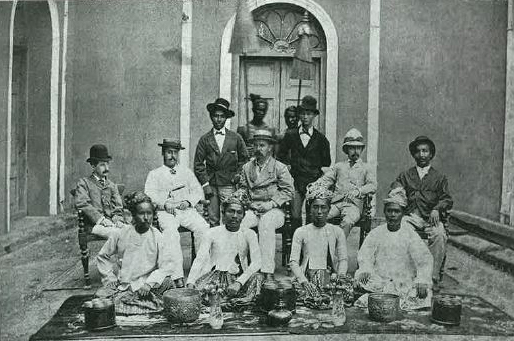 They merged with the Burmese Steam Navigation Co. in 1865 and entered a contract with the Govt. 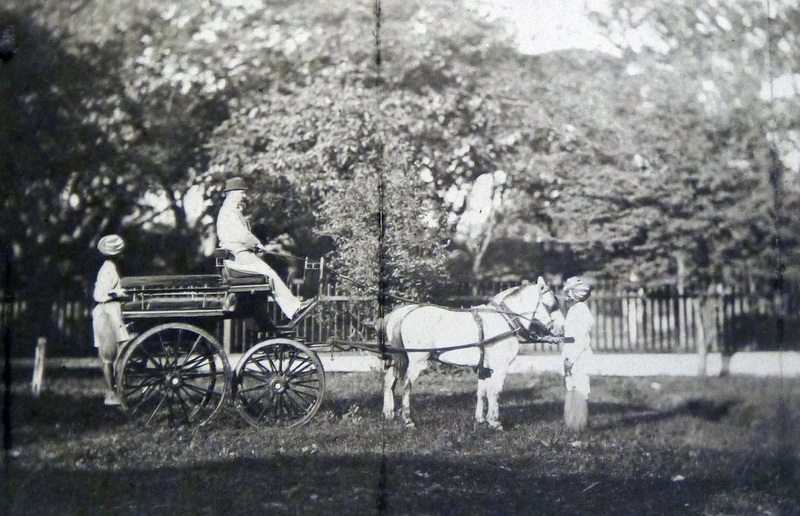 to transport troops, supplies, the mail and general traffic. Managed by Messrs. Todd Findlay. 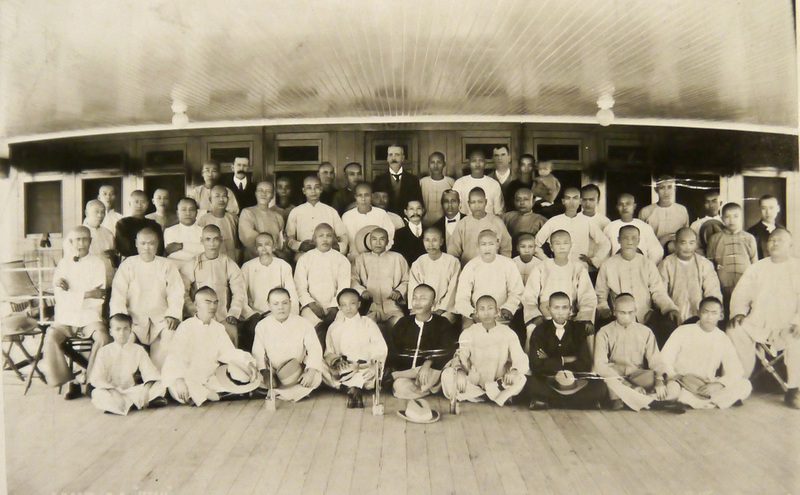 In 1868 its fleet consisted of seven small steamers, the only regular service at this time was between Rangoon and Thayetmyo. 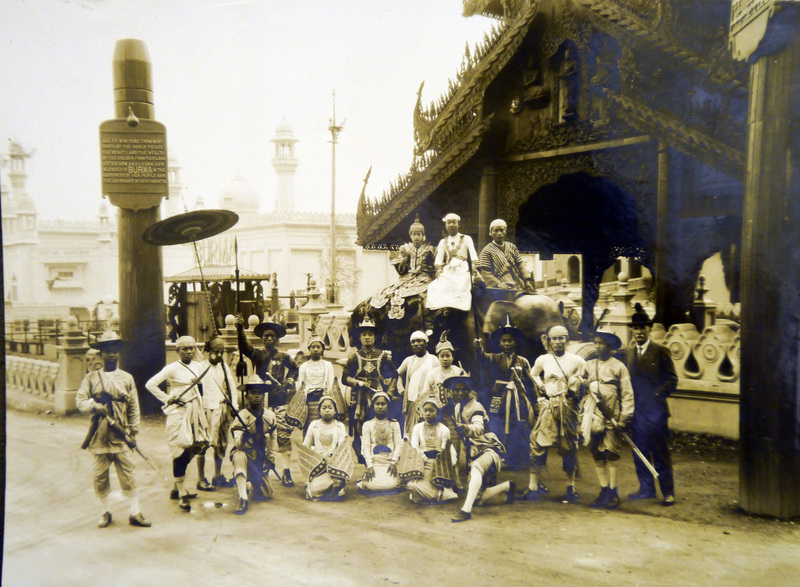 By 1869 operations were extended to Mandalay and subsequently as far as Bhamo, over 1,000 miles from the sea. Beset with problems, the principal being the state of the vessels taken over from the Government, the difficulties of navigation in the changing currents of the Irrawaddy river and of knowing the correct type of vessel to build for little known conditions. Replacement was the order of the day and so by the end of 1872 a fleet of eight new steamers and 12 flats as well as new buildings had materialized. Denny and Co designed the paddle-steamers, the first being over 300ft in length with a 40ft beam and weighing nearly 900 tons. Powerful engines were required to give a good speed against the swift currents, and to save weight, steel was used instead of iron which reduced hull resistance. 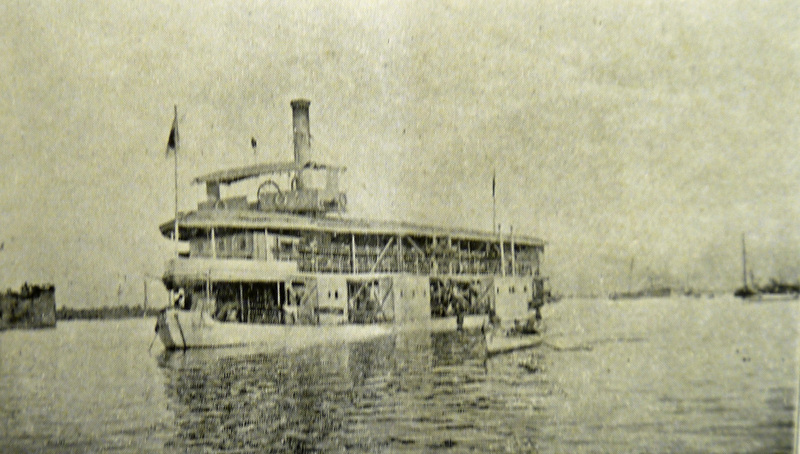 The year 1875 was an important one in that the services were incorporated as the Irrawaddy Flotilla Co. the fleet consisted of 13 steamers and 29 flats. From this time onwards progress was rapid and the fleet grew to very large proportions. Not only were existing services accelerated and rendered more frequent but a great many new feeder and ferry services were instituted. 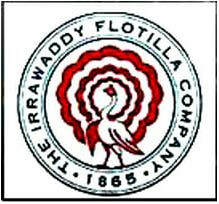 One of the main commodities shipped up the Irrawaddy was rice which was milled for export. 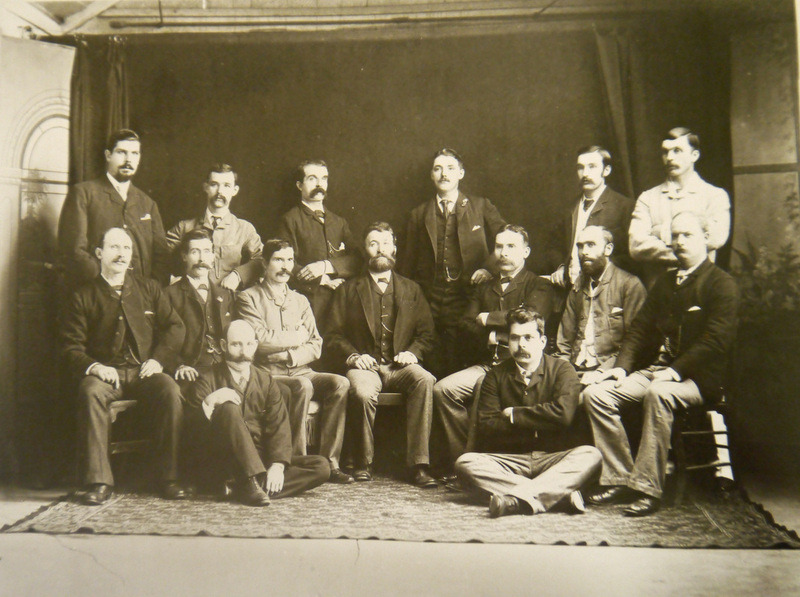 ​The head office in 1880 was at Strand Rd. 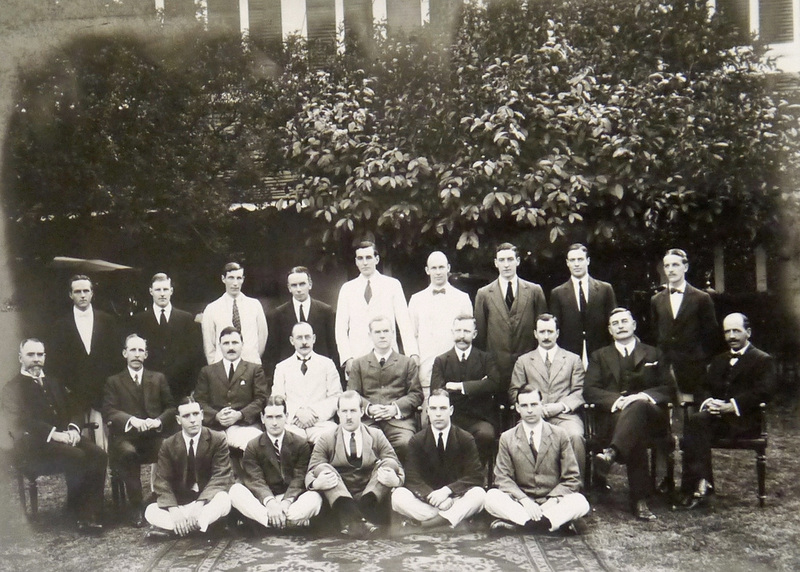 Rangoon, Mr Swan was Manager, Messrs. Kennedy and Young as assistants. 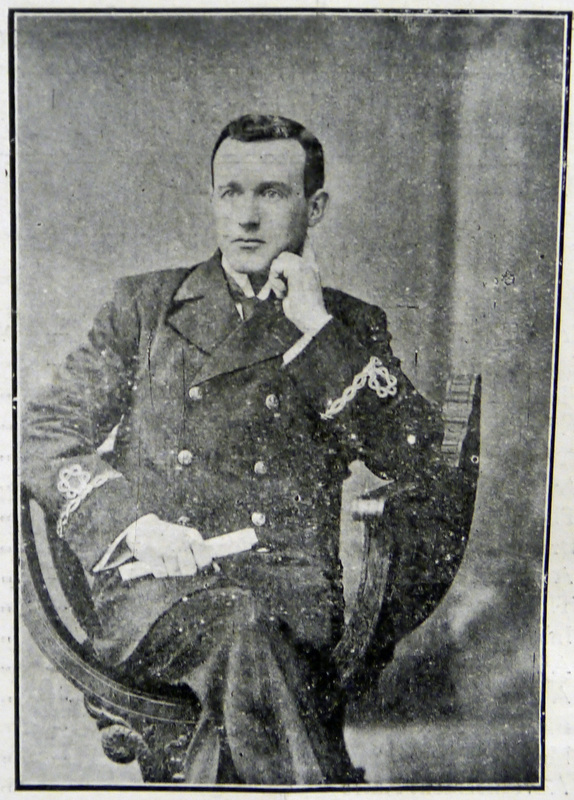 At Dalla Dockyard Mr Stark was the Superintendent with Mr Robertson as assistant. were bought up by the I.F.C. 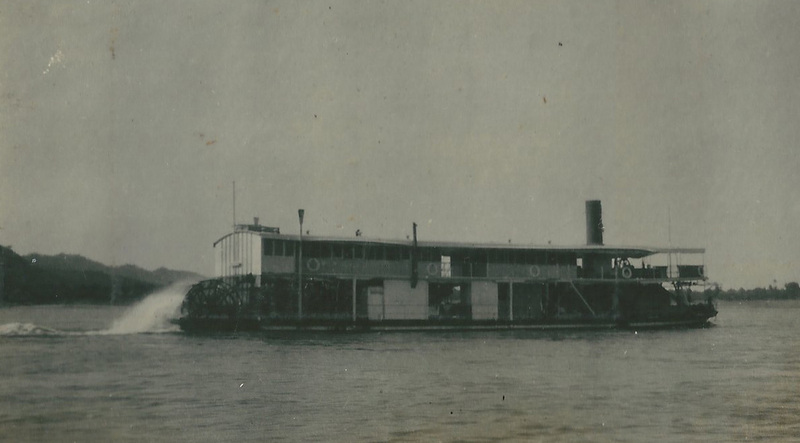 Many cargo steamers were built and added to the fleet in 1914. 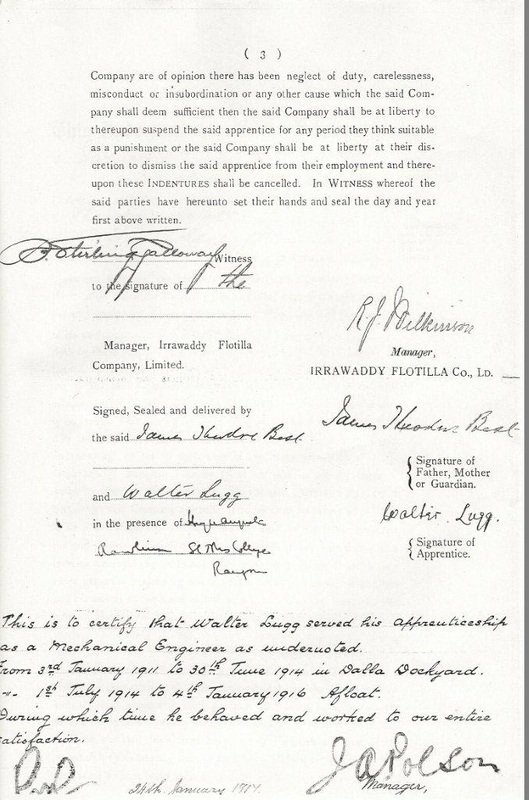 The Burma Steam Launch Co. of Moulmein also went into liquidation with their vessels being bought up by the I.F.C. 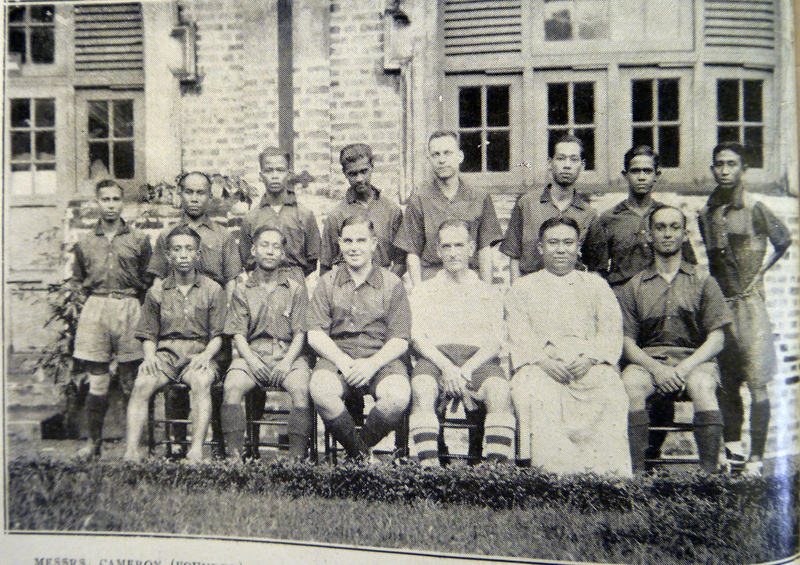 and added to the Moulmein service. 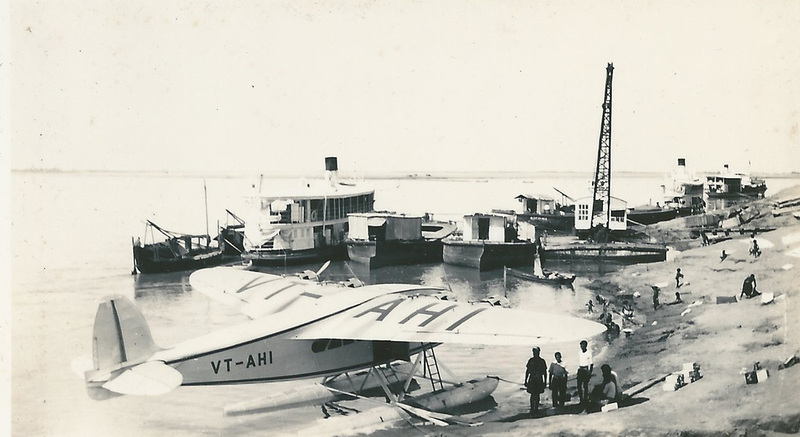 The fleet in 1928 had over 500 vessels, large and small and communication throughout all the navigable creeks, estuaries and tributaries of the Irrawaddy river was established. 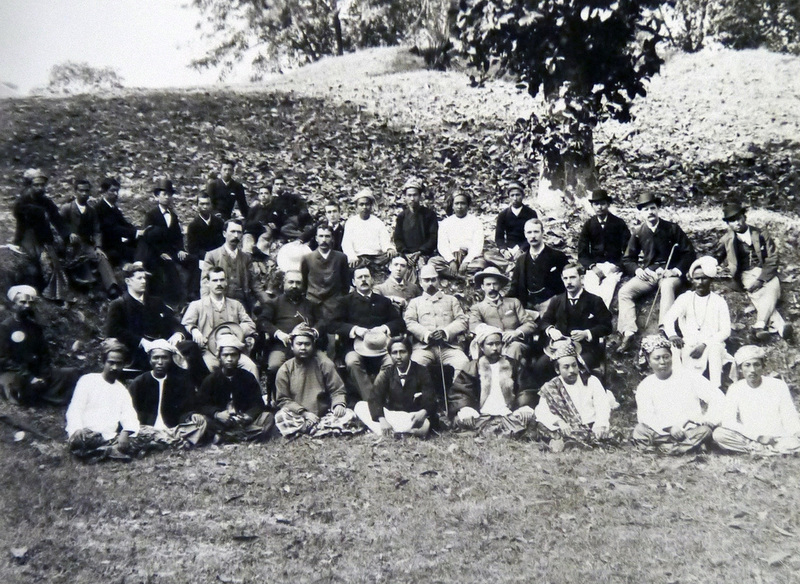 A considerable fleet of creek steamers which had its headquarters at Moulmein worked the rivers Gyne, Attaran and Salween. 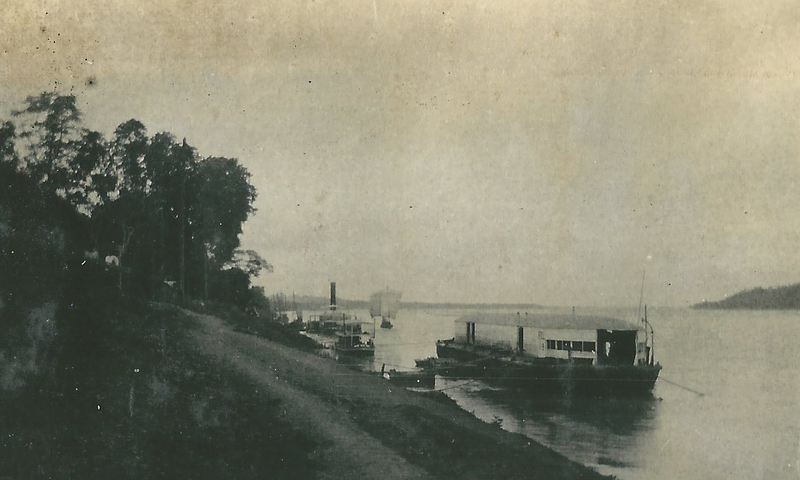 By 1938 the fleet comprised some 600 vessels of all descriptions from large paddle steams to small buoying launches, including a host of barges, flats and lighters. The tonnage of cargo carried yearly was nearly one million and the number of passengers over 7,500,000. The express service from Rangoon to Mandalay sailed by-weekly with cargo on a weekly basis. 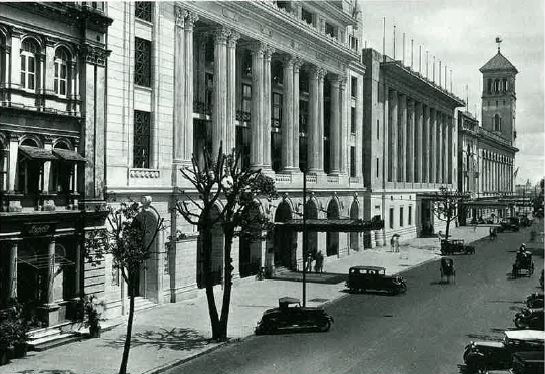 Mandalay to Bhamo ran a weekly express and cargo service, Rangoon to Bassein ran express and cargo services daily, Rangoon to Henzada was bi-weekly. The company also offered daily ferries from Prome to Yenangyaung, Minbu to Singu, Singu to Myingyan, Myingyan to Mandalay and Katha to Bhamo. A bi-weekly service ran from Mandalay to Thabeitkyin. 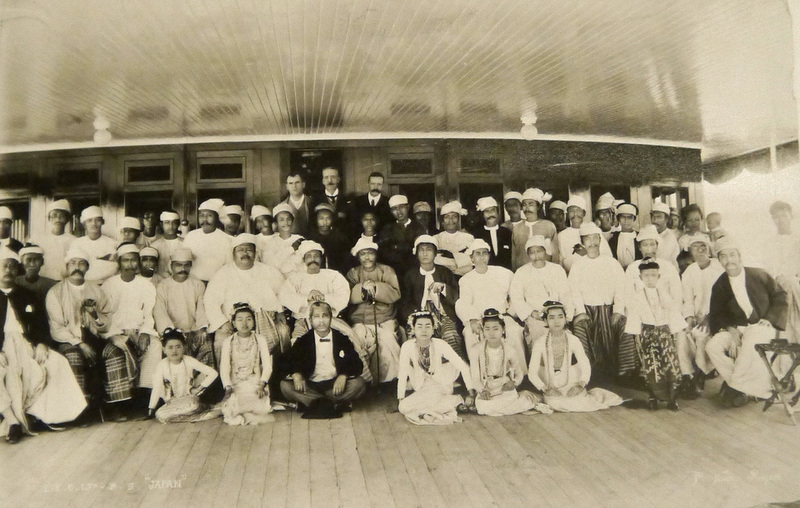 There were frequent river services on the Chindwin and creek steamer services from Rangoon to various places via the Twante Canal. 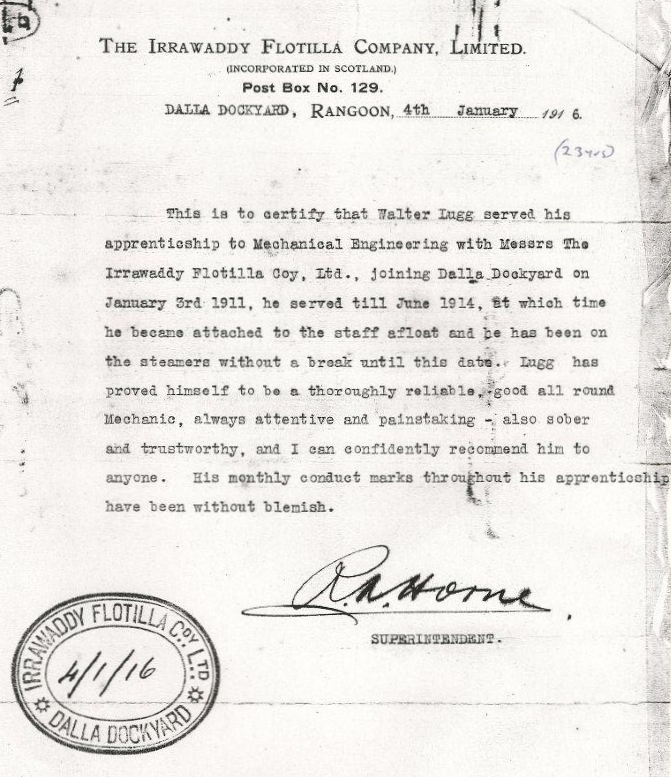 ​​Mandalay and Moulmein were chosen for their repair workshops and dockyards with two large workshops at Rangoon, the largest dockyard was at Dalla, on the opposite side of the Rangoon river. This yard contained a wet dock and eight slipways and employed nearly 5,000 men overseen by European foremen and was capable of repairs to sea-going vessels in the harbour, construction of new steamers, launches, barges and motor boats, it also repaired mill machinery and boilers. 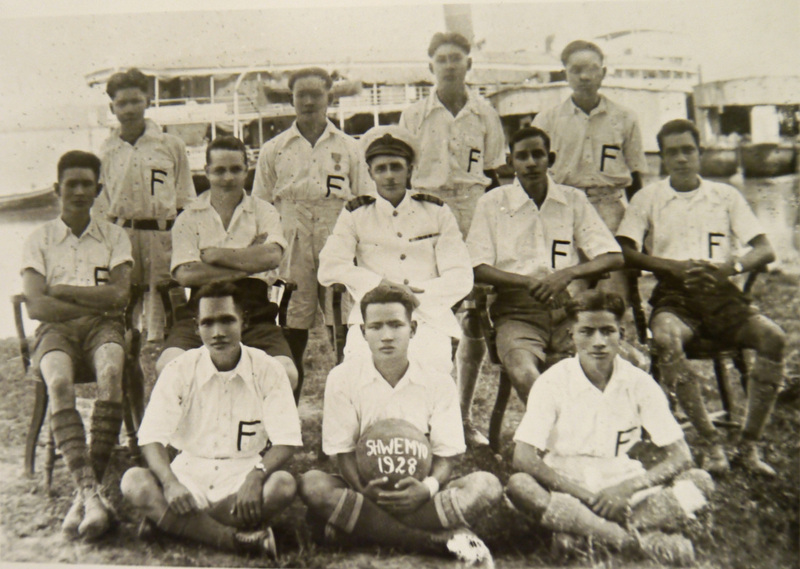 The companies facilities on the Rangoon side of the river were a little smaller than the Dalla dockyard and employed 3,000 men. This yard also had a saw-mill used by various independent timber merchants. Head office was No. 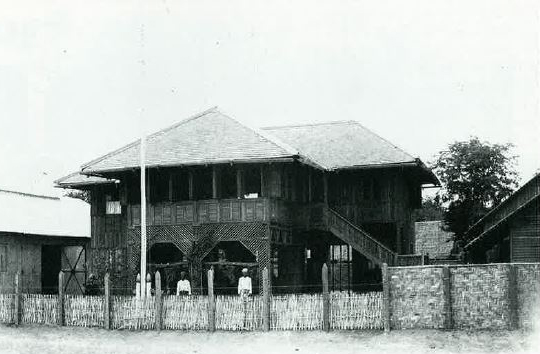 4 Phayre Street, Rangoon. 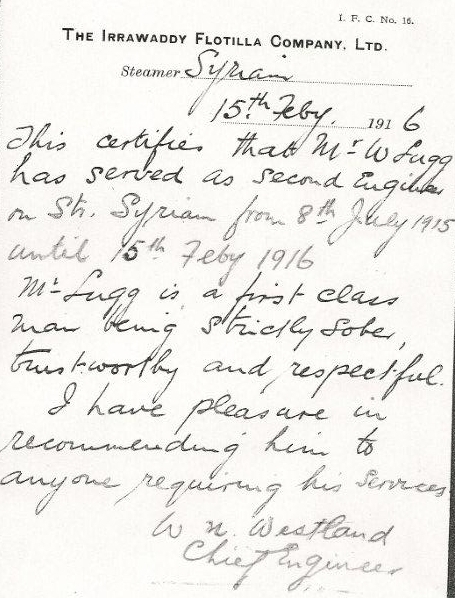 R. Sinclair was Manager and W.T. Henry was Asst. Manager. 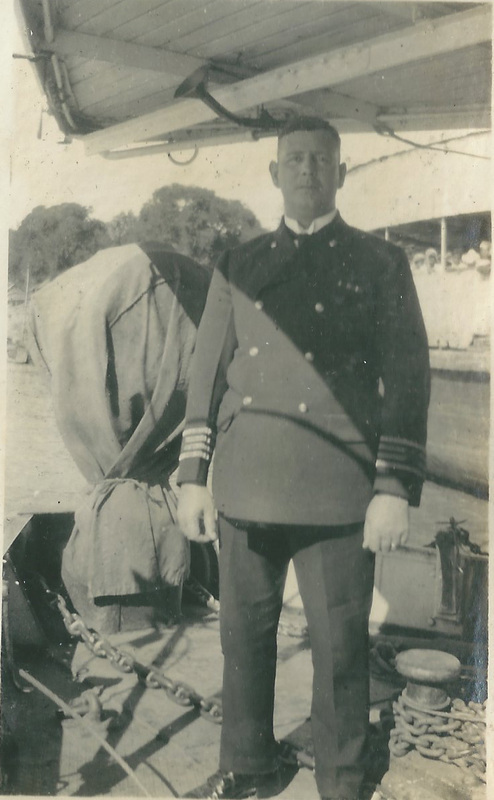 Captain Hugh Chubb - From whose collection many of the photos come, in 1974 wrote the following brief account of the first vessels of the I.F.C. Early in 1831 the H.E.I.C. 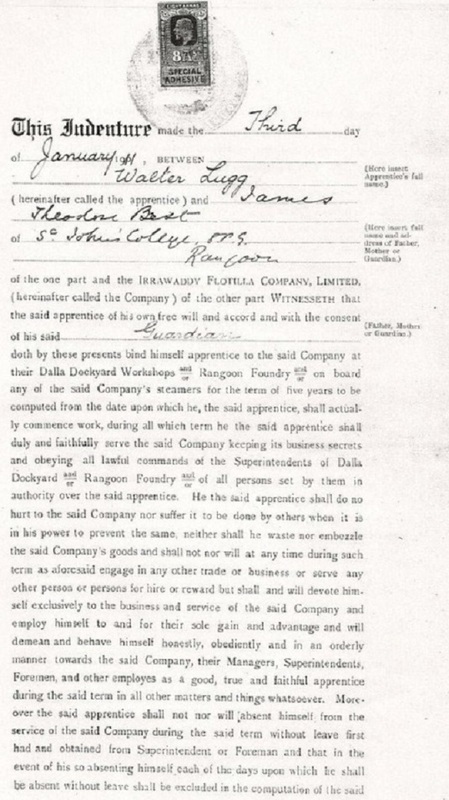 placed an order with Messrs. Maudslay & Field of Lambeth for four paddle steamers for use in Bengal. The first of these steamers was to be built and to run trials on the Thames whilst the other three were to be pre fabricated and shipped to Calcutta. The first of these steamers was named “Lord William Bentinck” after the Chairman of the East India Co. She was launched at Lambeth on July 7th 1832. Later she ran very successful trials on the Thames and after these she was taken to pieces and shipped to India. Her dimensions were, length 125ft. beam 22ft. with a draught of water of 2ft. 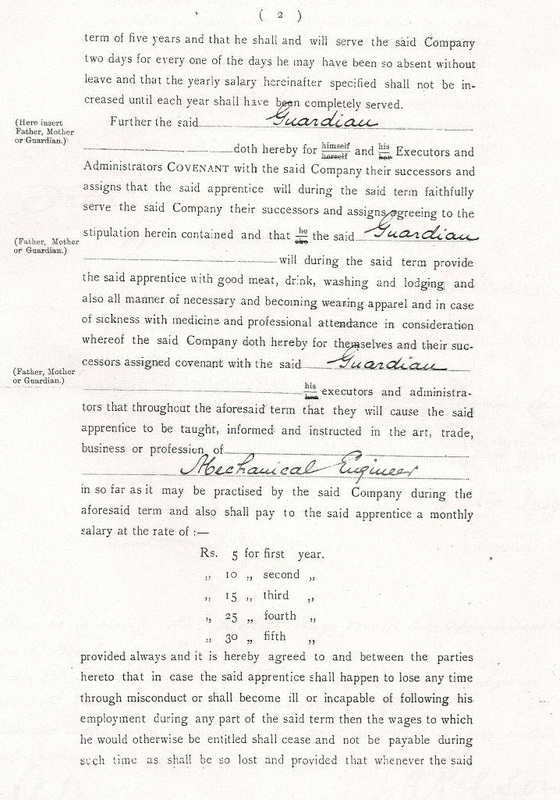 Gross tonnage was 275 old measurement. Her engines were also by the builders and were single oscillating type with two cylinders giving a speed of seven miles per hour. Hulls were built of Iron. 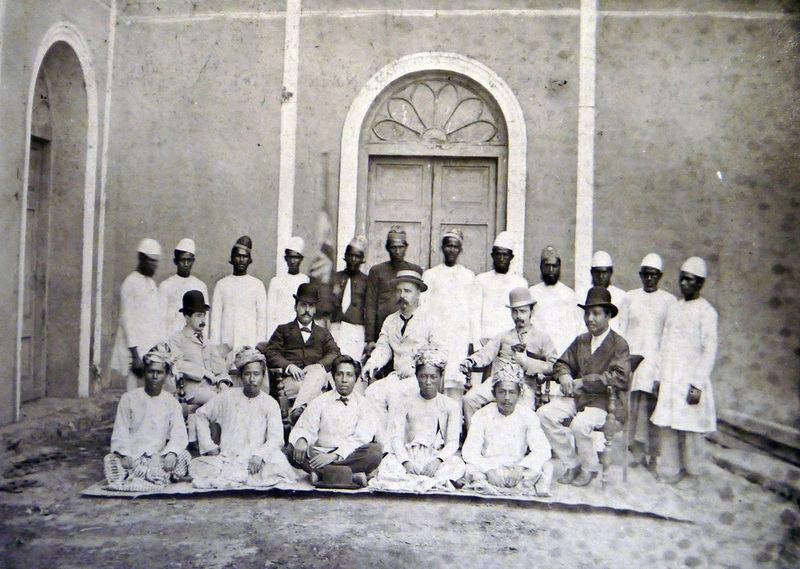 In 1852 four steamers named “Lord William Bentinck,” “Damodah,” “Nerbudda” and “Mahanuddy” went to Burma to take part in the second Burma war and were later followed by “Sutlej,” “Jumna” and “Mamoon.” All were very successful in their new role as gunboats and when Lower Burma was annexed they maintained the company’s services in the Delta. 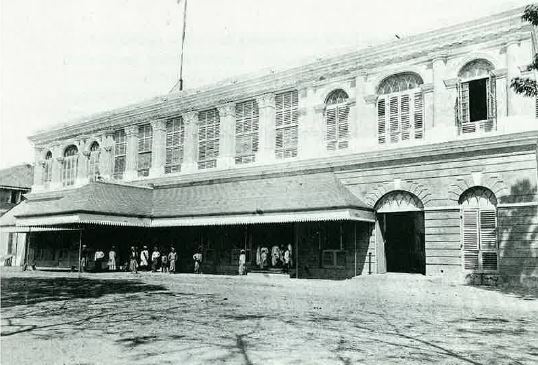 The Port of Rangoon practically ceased to function after the first bombing by the Japanese aircraft in December 1941. Government had by then decided on a scorched earth policy and the first vessels to be scuttled were the tugs and deeper draft craft of the B.O.C. and the Port Trust. These were mostly sunk at the entrance to the Bassein Creek in deep water at Tacabin Village. 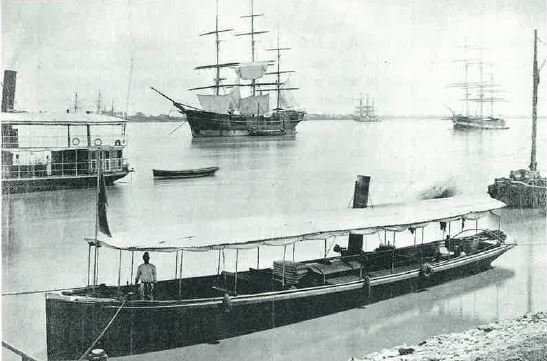 The Flotilla vessels and many of the locally owned small craft started up country in the hope that Upper Burma would be held by the British, however, this was not to be and a number of the deeper draught Irrawaddy tugs were scuttled at Myanaung because they were could not go up the Kyangyin Channel. First amongst these was the big powerful tug Larong whose sister tug Kamakyee crossed the Bay of Bengal and eventually reached Calcutta and was later to be of great use to the Indian Army I.W.T. Section. 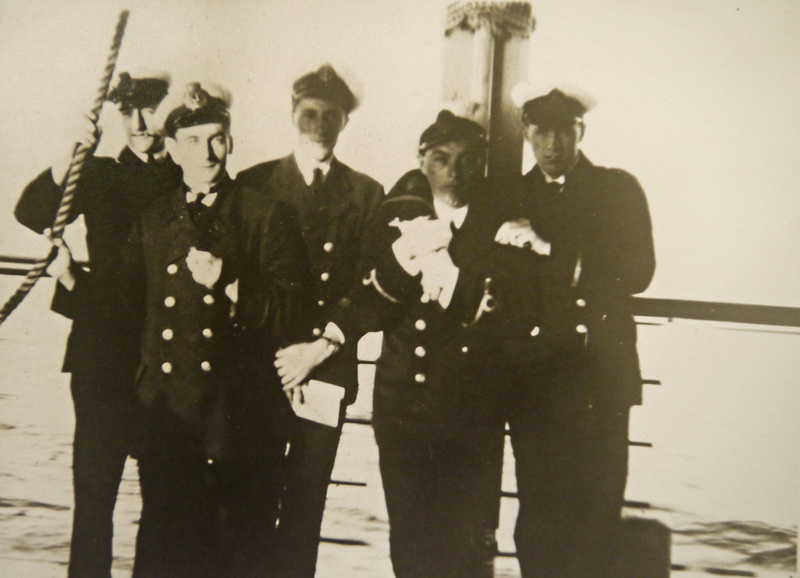 At Prome, the Station vessel Flat 194 and Pilot steamer Levin were bombed and sunk by Japanese aircraft. Station flats, usually ex steamers, were scuttled at their respective Stations to deny use to the enemy but the first really big sinking's were at Mandalay where a total of 112 Flotilla vessels were scuttled, amongst these were the Cargo steamers Ananda, Punjab, Panthay, Talifoo, Ceylon and a number of lesser paddlers such as “K” Class steamers. 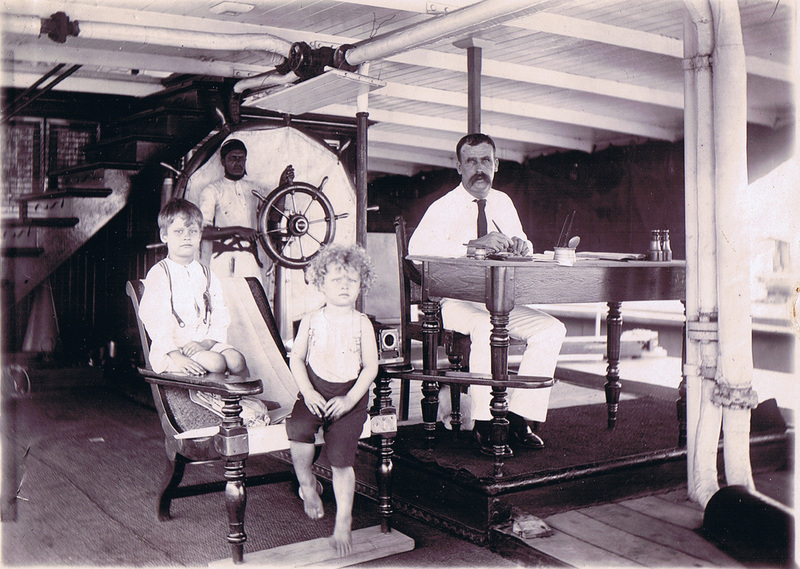 Creek steamers were sunk usually in groups at many small places, sometimes due to draught of water and sometimes due to engine trouble as there had been no maintenance for several months in many cases. The next big lot were sunk at Katha, ninety six big steamers in all were sunk here, this included the Mail steamers Sian, Japan, Nepaul, Mysore and many smaller craft such as Taping, Sawbwa, Sinkan, Sagamya and Samalouk. 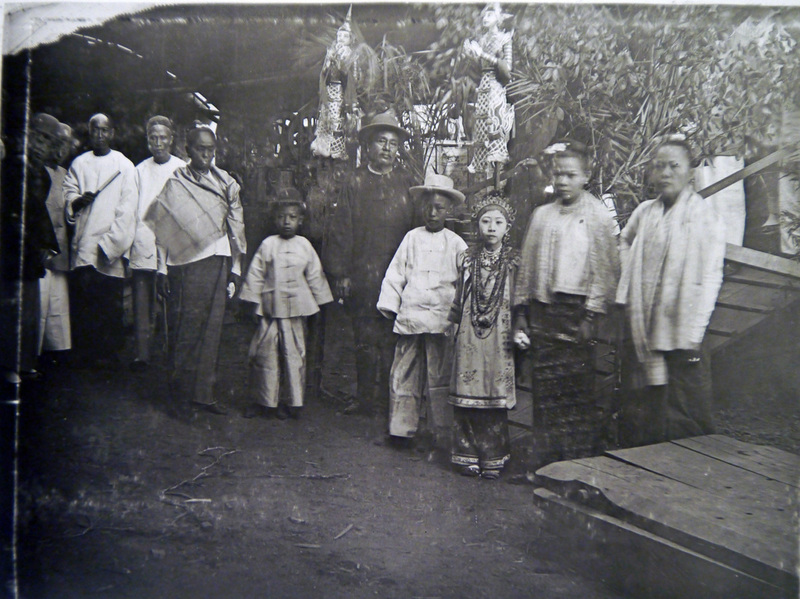 Shwelan escaped to Shwegu but was eventually captured by the Japanese and Assam managed to reach Bhamo but was within hours taken by the Japanese. Mindoon was sunk in deep water at Kyiukmaun and​Mingalay with a demolition party on board came up river sinking vessels which had been abandoned by their crews until she herself was eventually sunk at Katha. 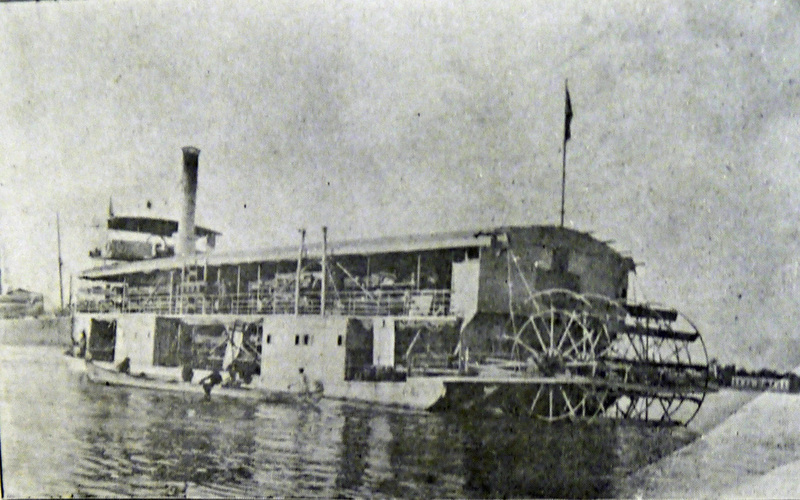 On the Chindwin eight sternwheelers were scuttled at Settaung, these were Saga, Sarak, Soma, Sind, Sythet, Namta, Pauk and Popa. 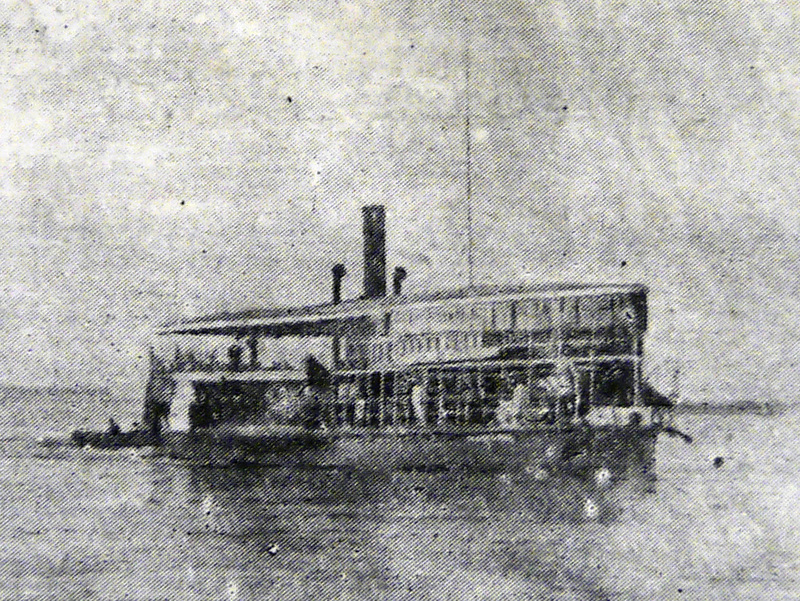 Shillong was sunk at Shwegyin near Kalewa after taking the army across the river when it retreated under General Slim, she also took units of the Chinese forces under General Stillwell. 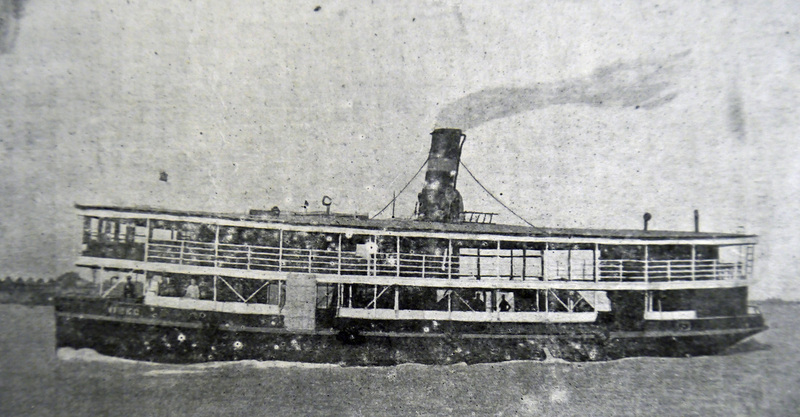 Minto, Nimmo and Pico, double decked passenger steamers, escaped from Bassein together with motor barge Thingan. Minto was wrecked on Goyange Island off the coast well above Akyab whilst Nimmo was sunk below Buthiedaung and Pico above this place in the Kalapanzin river and I located a wreck which I am positive was Thingan at Buthiedaung Village. 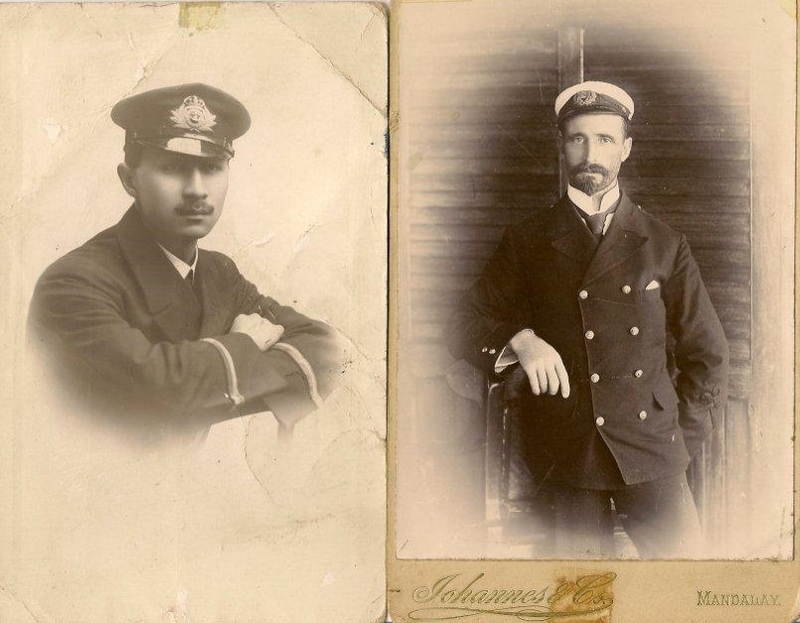 Grodno also escaped from Bassein and put into Akyab but was sunk there by order of the Royal Navy. Barge Alberta safely crossed the Bay of Bengal and the tugs Kamakyee and Panhlaing also did this and were all of great use to the Indian Army later on. Capt. Gillison brought the Kamakyee across and Capt. 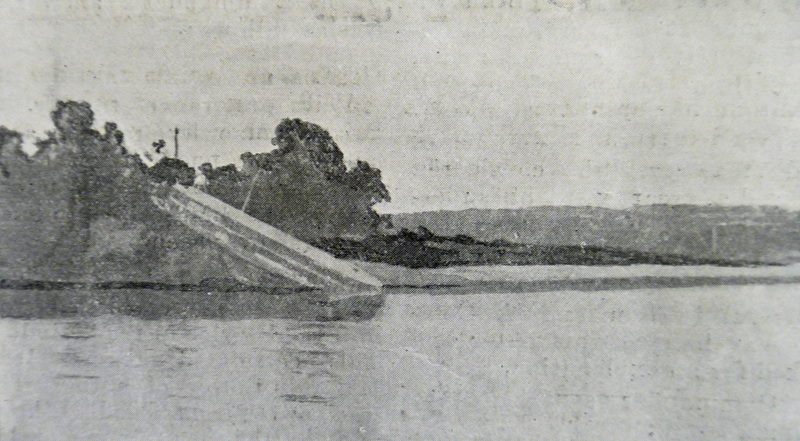 Spears brought the Grodno into Akyab, where she was scuttled by the Navy. 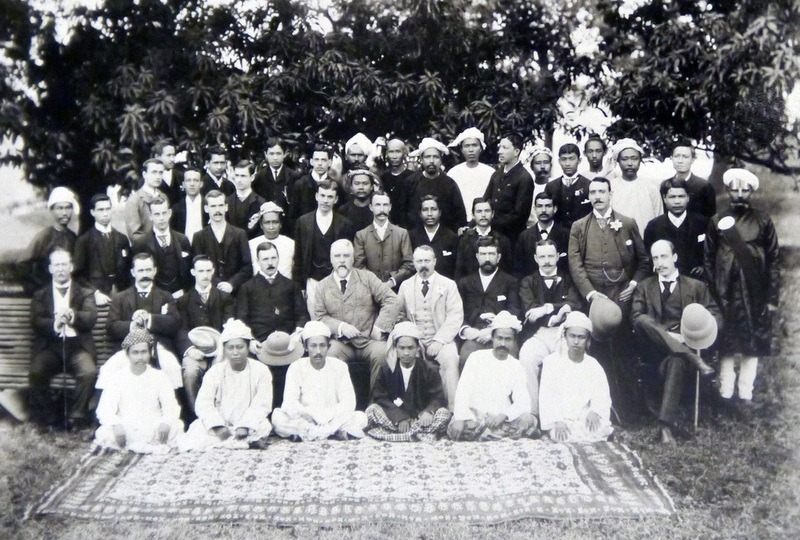 The crews then had a long walk to India, Captain Watts provides us with a snapshot of his journey which he undertook with Captain Railston and others. 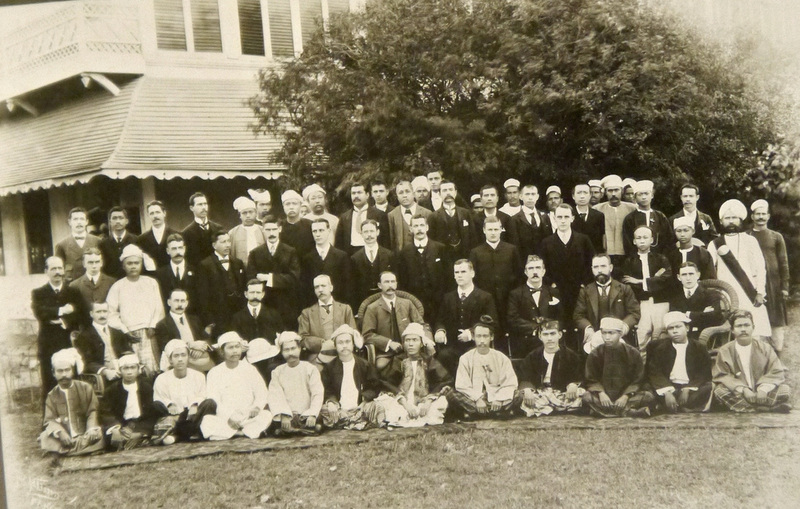 Can you identify anyone in the photos? - see Photo Gallery for more. P.S. "Ava" 1869-1908 (possibly) Capable of towing two barges each containing tanks of oil. The next four photos (marked F.T.) are from Fiona Thorburn's collection. 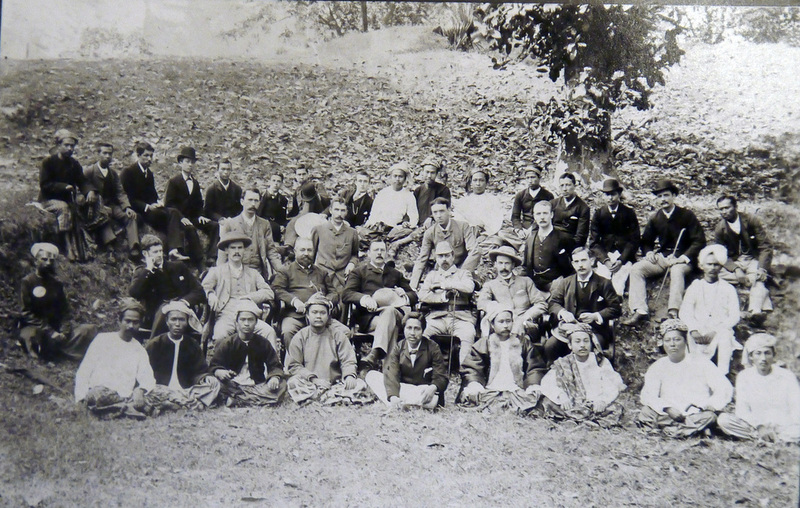 Other interesting photos can be found in the Biography section under Robert Douglas Thorburn, Fiona's father, who worked for the B.O.C. 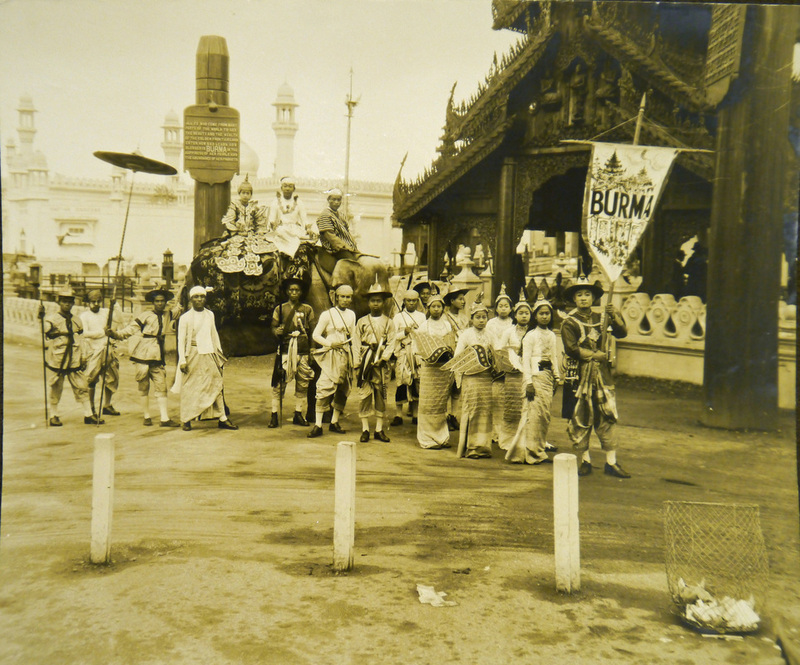 - Burma Oil Co. The following photos are from the Irrawaddy Magazines. Capt. W.N. 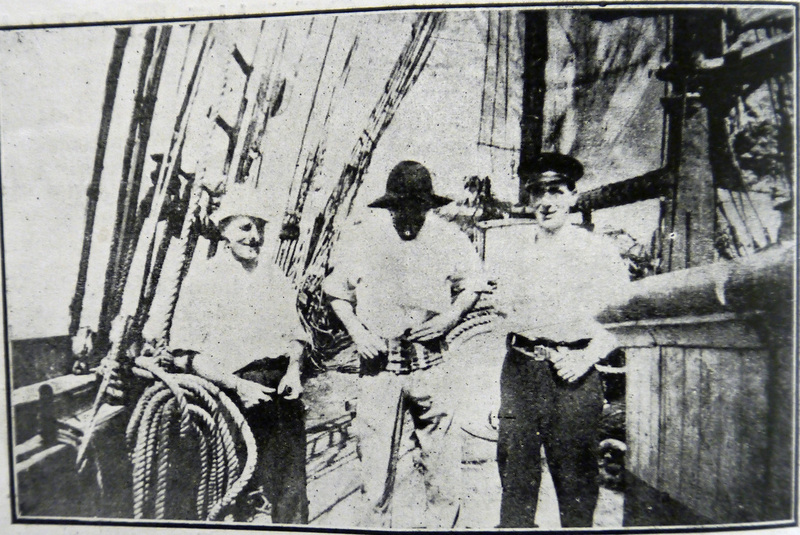 Beckett's last trip on R.M.S. 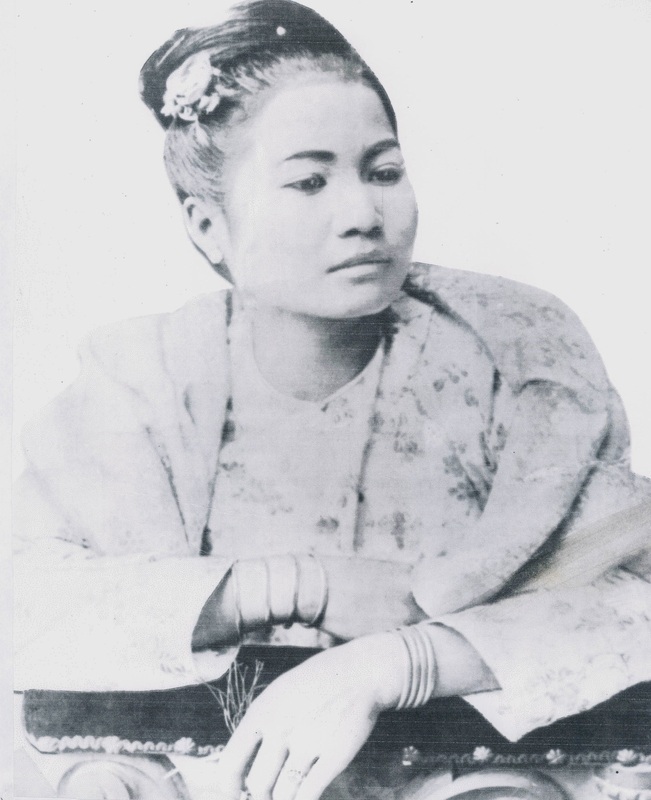 "Assam," 1914. 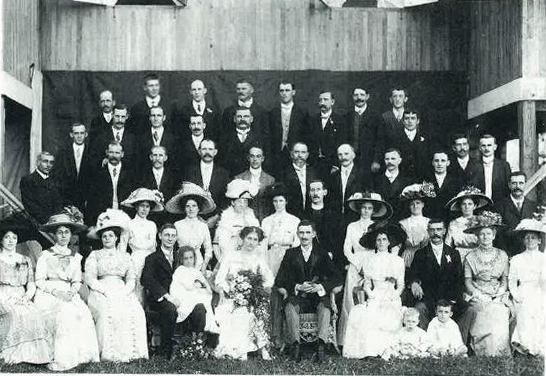 Wedding at Dalla c. 1912, of the coppersmith foreman. The bearded gentleman in the center is Robert Barr, Engineer Supt. of the Fleet. 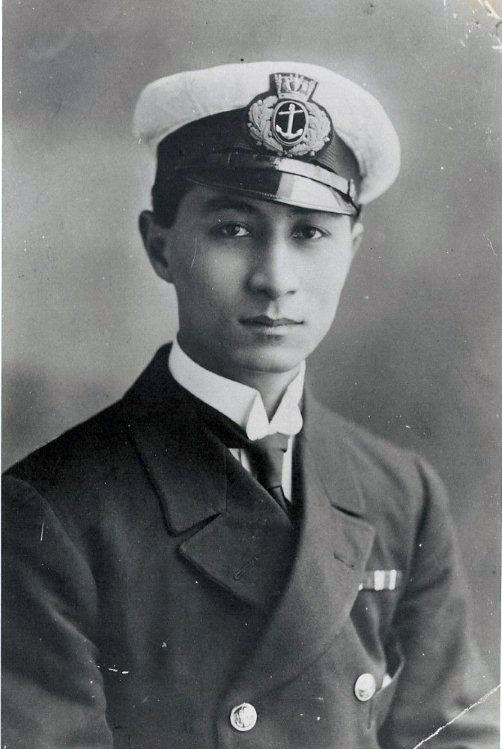 (The European Gentleman) "Sailed from Rangoon on the "Amarapoora" 12th Feb. 1924 returned to Rangoon on the "Burma" 19th Sept. 1924." 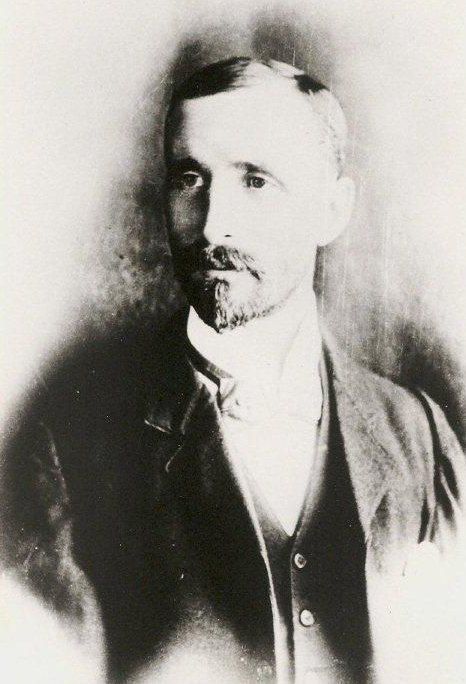 ​Mr Kennedy, 1885 to 1896. 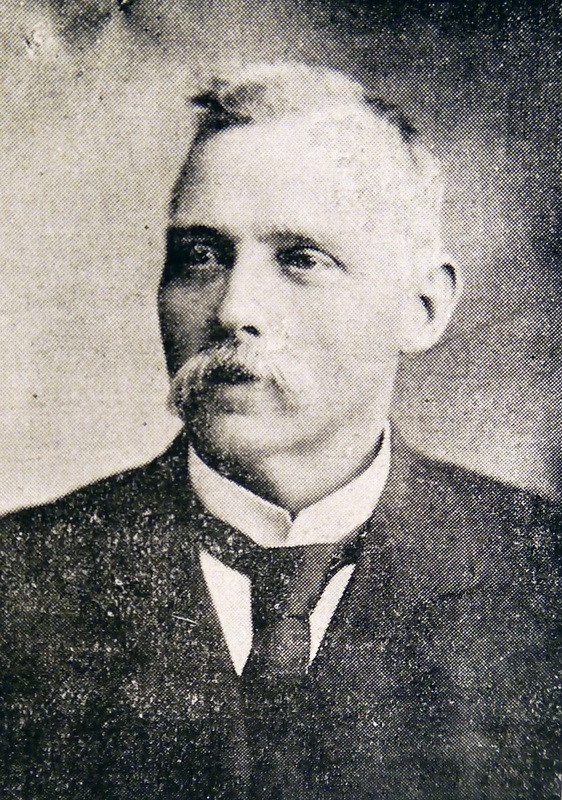 ​ Mr Findlay, 1898 to 1902. 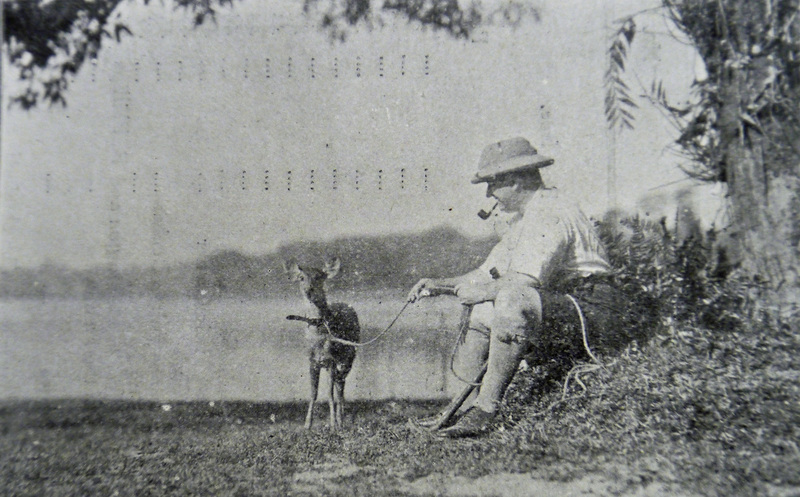 Mr Hay, 1902 to 1906. 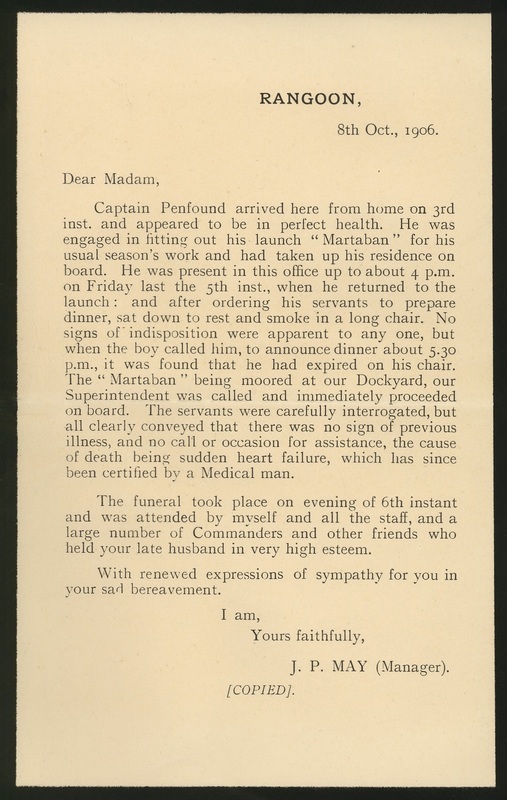 457, Agents and Office Clerks on R.M.S. 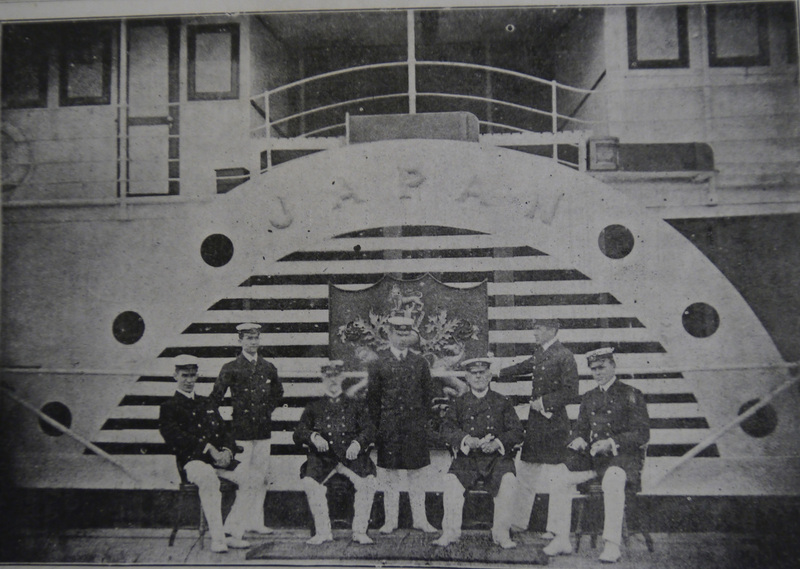 "Japan" in 1904, when ship was new. 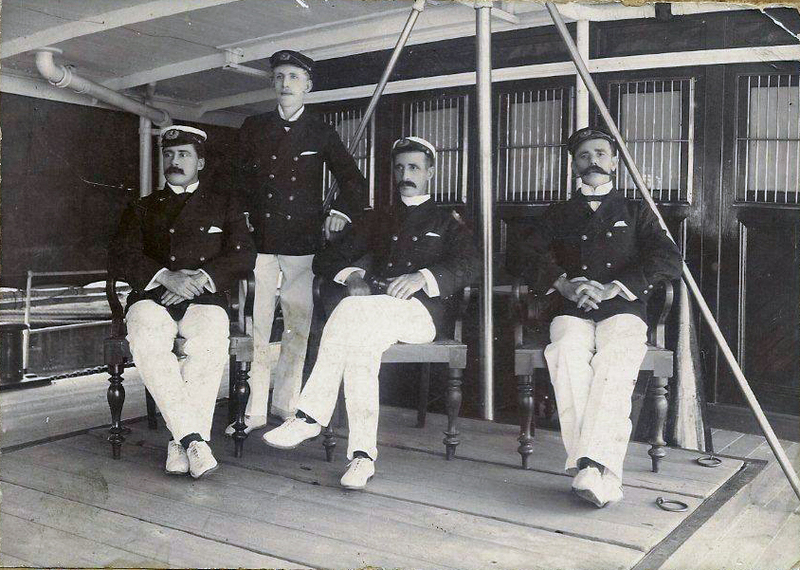 458, Chinese shippers on board R.M.S. 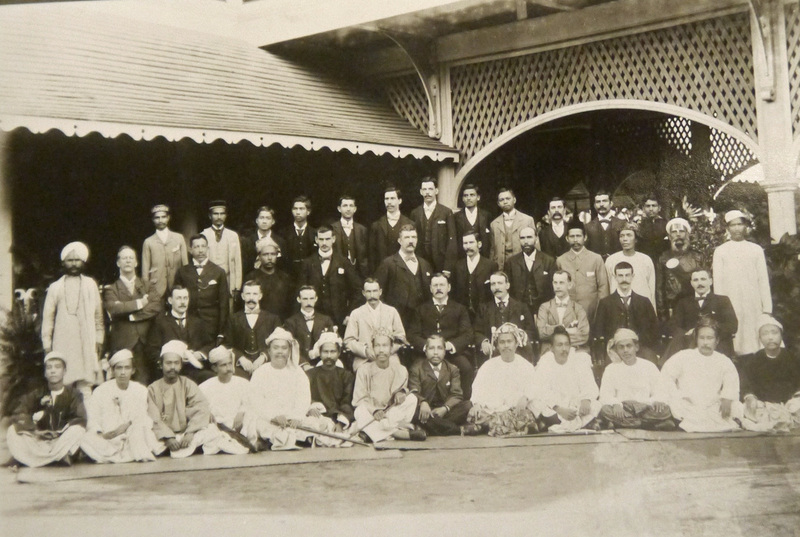 "Japan" when new in 1904 at Rangoon. 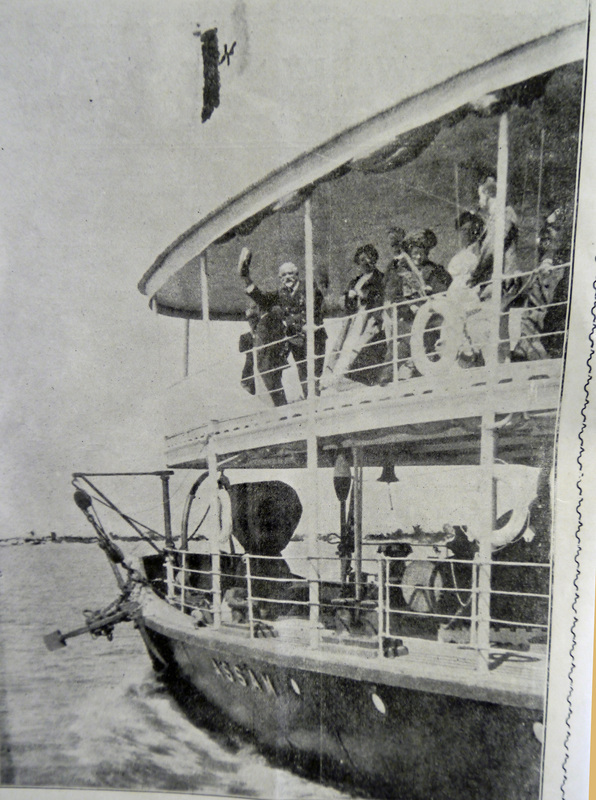 528, Launch of P.S. 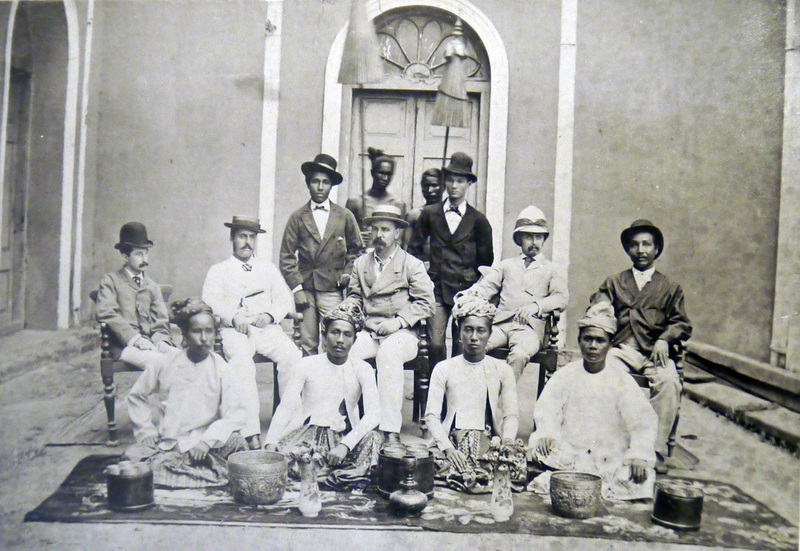 "Pekin" by Po Kim's daughter Dalla Dockyard 1887. 652, Chief Officer, Chief Engr. 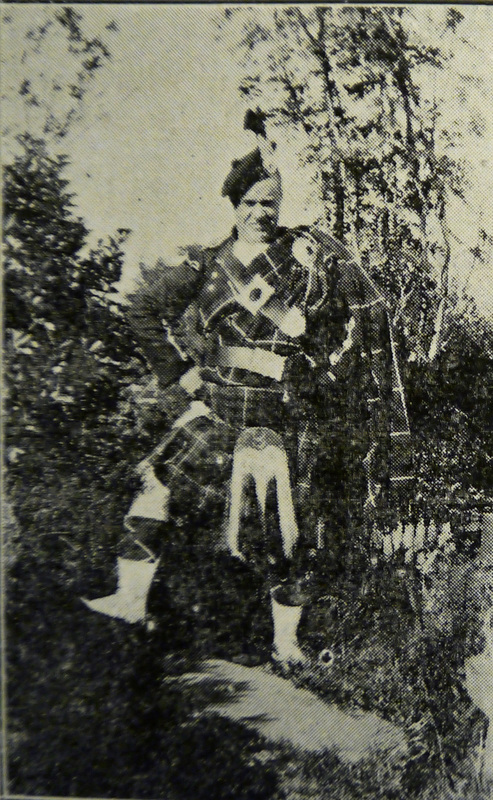 Turnbull Prentice Kirk Stewart Blacke....? McPherson? Black Macdonald Starky? Brown Robertson Whitton? 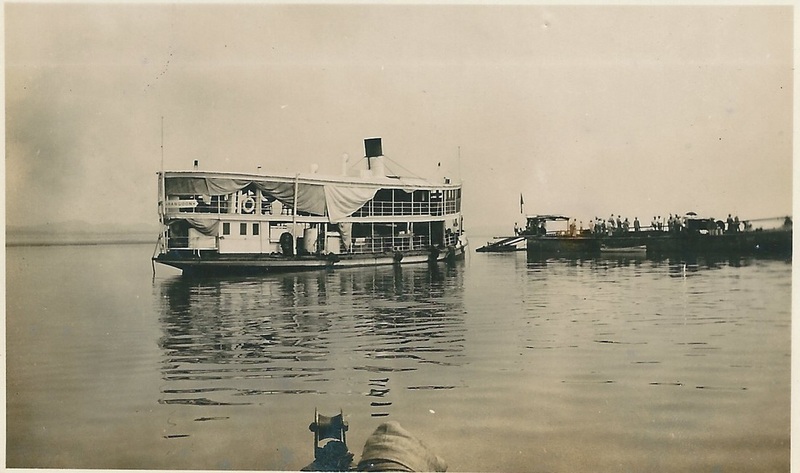 This slideshow of steamers is a compilation from various years. 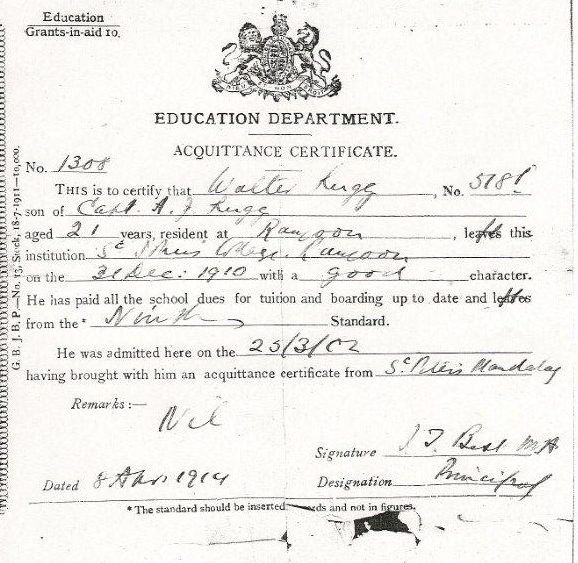 Walter Lugg - an ABL member is searching for any information on this family. 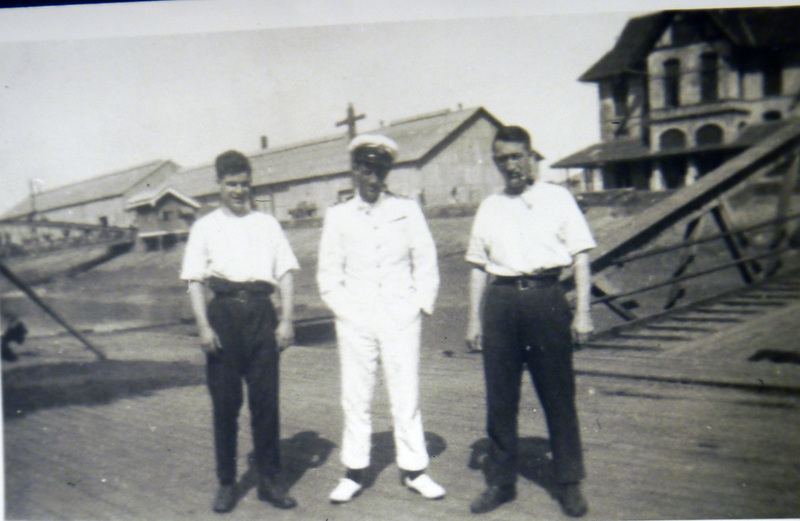 Captain Alfred Penfold - another member is searching for any information on this chap and the two boys. ​regarding the death of her husband.